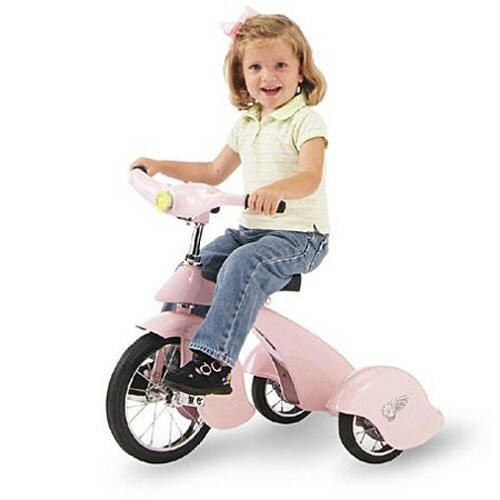 Her heart will soar when she sees her Pink Pegasus tricycle. The gorgeous frame is constructed of handcrafted steel and modeled after the classic 1934 Van Doren design displayed in museums. Timeless treasure featuring chrome trim, durable steel spokes, solid rubber wheels, padded saddle seat, working headlight, and adjustable handlebars. Adult supervision required.